Wednesday, Apr. 17, 2019, 3:30 – 5 p.m. 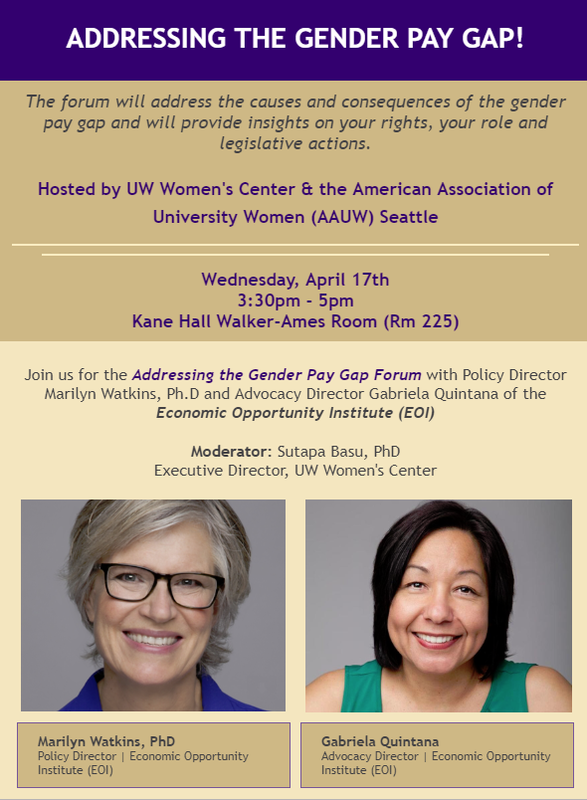 The forum will address the causes and consequences of the gender pay gap and will provide insights on your rights, your role and legislative actions.